With the weather starting to warm up, I’m getting really excited to make some spring/summer dishes. 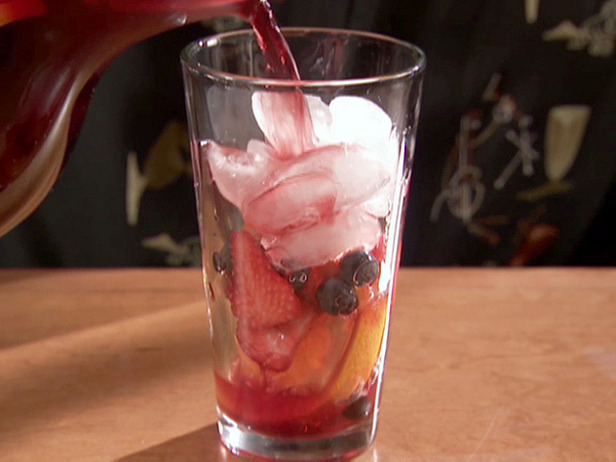 One of my favorite drinks during this time is Sangria, maybe a little too much of it sometimes 🙂 This recipe isn’t from a Good Eats episode, but it is from Alton Brown. Food Network has a page “Sangria 6 Ways” with different food network chefs recipes, and this is AB’s. I usually like my Sangria a little sweeter so I add a little bit of orange juice to this recipe. So yummy!